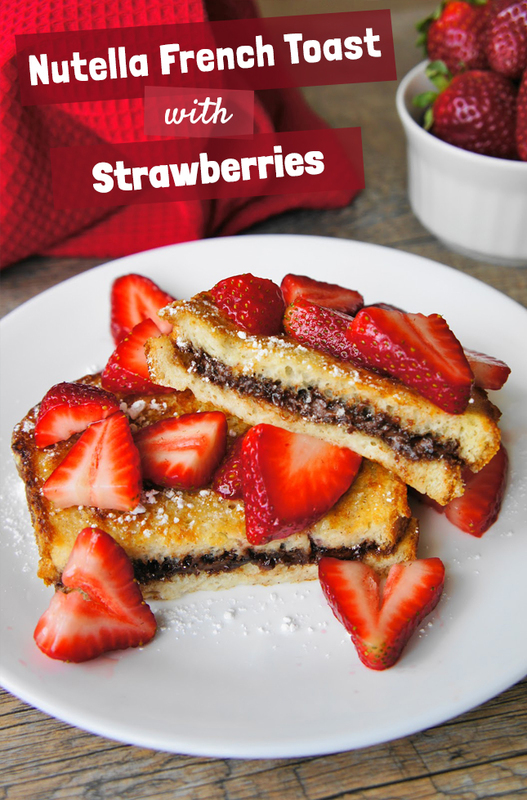 Surprise someone you love with this deliciously good Nutella French Toast with Strawberries. 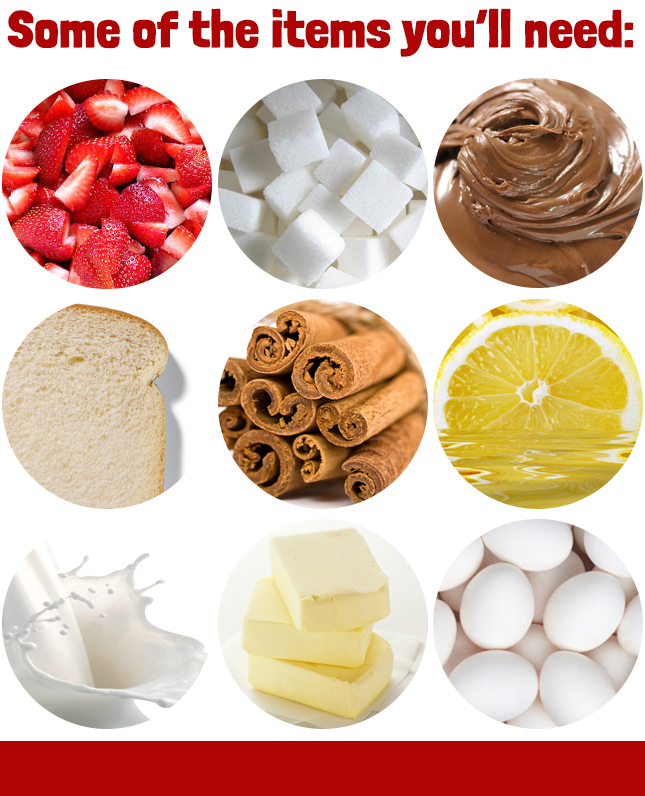 1) Combine the strawberries, sugar and lemon juice in a bowl. Toss to coat and set aside to macerate at room temperature. 2) Spread desired amount of Nutella over 2 slices of bread. Top each with the remaining bread. Heat a large skillet over medium heat. 3) In a shallow dish or pie plate, whisk together the egg and milk. Whisk in the melted butter, vanilla, cinnamon and salt. Add 1 tablespoon of butter to the heated skillet and swirl to coat. 4) Dip each sandwich into the egg mixture, soaking for 30 to 40 seconds per side. Add the slices to the pan in a single layer, taking care not to crowd the skillet. Cook for 1-2 minutes, until light golden brown. Flip and continue cooking an additional 1-2 minutes. Add more butter as needed. 5) Transfer to a plate, dust with powdered sugar, then top with strawberries. Serve immediately. Got any great recipes? Submit them to hello@techlovedesign.com or in the comments below!